Defending champions Pulapol once again emerged as the overall champions of Malaysia’s Holla Mahala Games 2015 which ended last week. 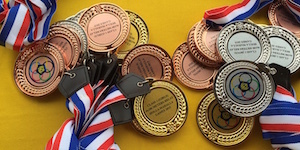 The annual games for Sikhs under 21 years include team games like badminton, hockey, football and netball, as well as individual events like athletics. 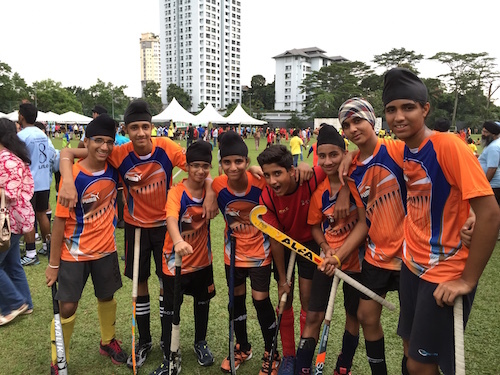 Pulapol is a team based at the Gurdwara Sahib Pulapol, a gurdwara located in a national police training centre in Kuala Lumpur. It withstood a spirited challenge by High Street, another police-based gurdwara. “It was very close. Both teams were neck to neck till the end,” a Pulapol team official told Asia Samachar when met during the final day of the games at Bukit Aman, Kuala Lumpur, on Sunday (22 Mar 2015). Pulapol finished the games with 158 points, High Street second with 140 points, Tatt Khalsa Diwan third (83), followed by Banting (71) and Petaling Jaya (58). Nineteen teams, mostly oganised around their local gurdwaras, took part in the games, which entered into its 16th year, organised by the Sikh Naujawan Sabha Malaysia (SNSM). In 2014, Pulapol emerged champions, with Tatt Khalsa Diwan in the second spot and Subang third.